In 2018, we decided to expand the uses of the Ajax security system to the protection of large and complex premises. With the introduction of OS Malevich updates, we have added features such as group mode, user access management, and personal keyboard passwords—an important feature for the corporate sector and large private properties. We then released the advanced Hub Plus with 4 communication channels, support for 150 devices and 99 users, ready to provide security for the most complex premises. 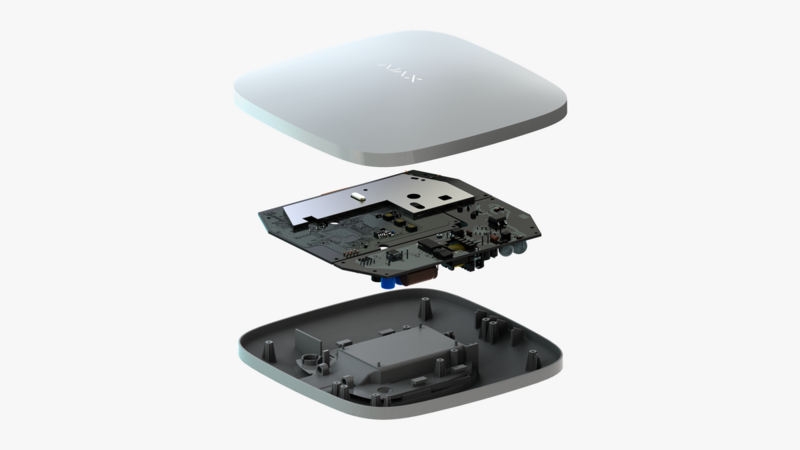 Today we present ReX, the intelligent hub range extender. ReX increases the maximum connection distance up to two times, allowing Ajax to secure multi-story offices, detached buildings or industrial production sites. ⚠️ ReX smart range extender is supported by hubs with firmware version OS Malevich 2.7.1 and later. All hubs will be updated until the end of April, 2019. ReX has been a long time in the making—the development of the device started back in 2016. A range extender was not absolutely necessary for the Ajax security system since our Jeweller signal protocol ensured two-way communication between the hub and the detectors up to a distance of 2,000 meters, which was more than enough to protect small private and commercial spaces. But we wanted more. It took 3 months to develop the prototypes of the device that sends the hub’s signal to detectors and the other way around—the first ReX had no additional functions to extend the communication range. The ReX range extender was coping with tasks, but there was just one critical issue: the signal was not being received from the SpaceControl key fob. We had developed Jeweller as the optimal radio technology for the security system: reliable, secure and efficient. Devices communicate with the hub only during the short time slots allocated to them, while they save energy between sessions—that’s the TDMA principle. Jeweller allowed detectors to work 5–7 years on the bundled batteries, prevented device fraud, transmitting alarms in less than 0.15 seconds (priority time slots are allocated to them). 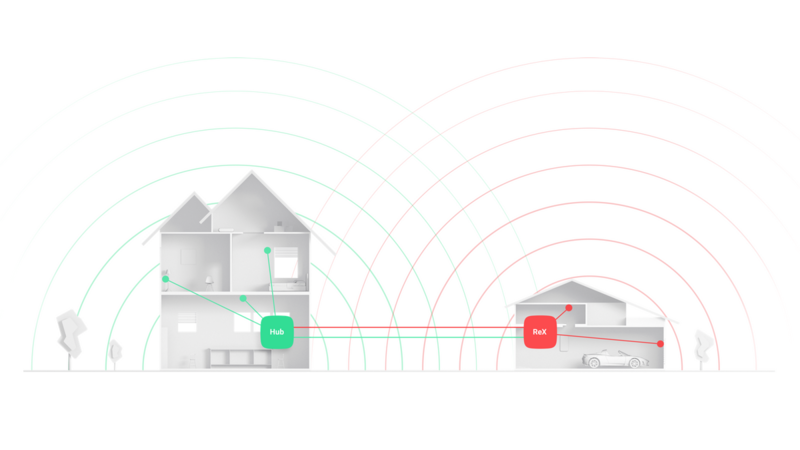 But the logic of the radio protocol does not involve an intermediary between the hub and the device, leading to a slight increase in signal transmission times. By connecting through ReX, SpaceControl key fobs could not notify users of successful arming or disarming, turning night mode on and setting the alarm by pressing the panic button. And what’s even more critical: it could not warn about problems. We could not extend the “on-air” time—we would have had to sacrifice autonomy and lose the compatibility of the already released key fob with the range extender. It became clear that we would have to overhaul the system for the proper implementation of ReX. And so, we put the project on hold, directing our resources to higher priority devices: security and fire detectors, sirens, power relays. By 2018, Ajax was being sold in 67 countries around the world. The features of the new markets traced the course for product development—the security system should provide outdoor security and protection of large, complex premises: mansions, office centers, industrial buildings. Now, we really needed a range extender. It took us another year before Rex became the 23rd device of the Ajax range. The simple signal range extender has become the second most important security system device running OS Malevich, the intelligent operating system developed by Ajax Systems. ReX is compatible with all Ajax devices. It regularly synchronizes with the hub and transmits signals instantaneously to connected devices. It is built on the Hub hardware platform and has a significant performance margin for feature development. It manages devices entrusted to it and works independently—in the event the connection is lost with the hub. With ReX, the security system becomes even more threat resistant. Without getting into the technical details, ReX is a device for expanding the radio communication coverage of the signal network. The range extender can be installed at a distance of up to 1,800 meters from the hub, providing stable two-way communication with detectors, sirens, power supply control devices, keyboards and key fobs that are assigned to its network. It sends alarms in less than 0.3 seconds, without compromising the device’s autonomy or restricting system configurations. It works with the standard Hub and the advanced Hub Plus. With its design and hardware, ReX is very much like Hub, but without the Ethernet and GSM modules—they are unnecessary for a range extender working within the Ajax network. In the standard operation mode, the device is powered from the electrical grid of the premises, and in the event of a power outage, it is powered by the built-in backup battery. ReX boasts an outstanding battery life of up to 35 hours. ReX is run by the real-time operating system OS Malevich. These types of systems are used in ballistic missiles, elevators and car brakes, as they are particularly failure-proof. OS Malevich combines functionality and security: it boasts frequency jamming, is virus-resistant, and authenticates devices. Rex uses the new radio protocol Cargo for communication with the Hub. It works over the Jeweller radio technology, providing packet transmission of compressed and encrypted information about the status of the security system at frequencies of 868.0–868.6 MHz. Since it has access to what the hub knows thanks to Cargo, the range extender does not wait for the control panel to make a decision about arming/disarming the devices entrusted to it, turning on/off the relay according to scenarios, or activating sirens when there’s an alarm. In emergencies, it manages the Ajax autonomous subsystem. If the connection with the hub is lost for whatever reason, ReX will assume the role of the control panel: in the event of an alarm, it activates the sirens. Another advantage of Cargo is the ability to transmit firmware files over the Jeweller network. 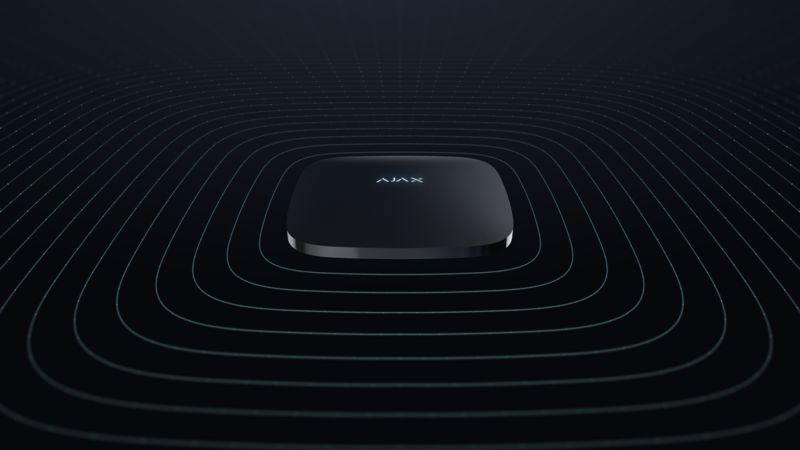 ReX is the first Ajax device that updates software over the air without a direct connection to the internet. 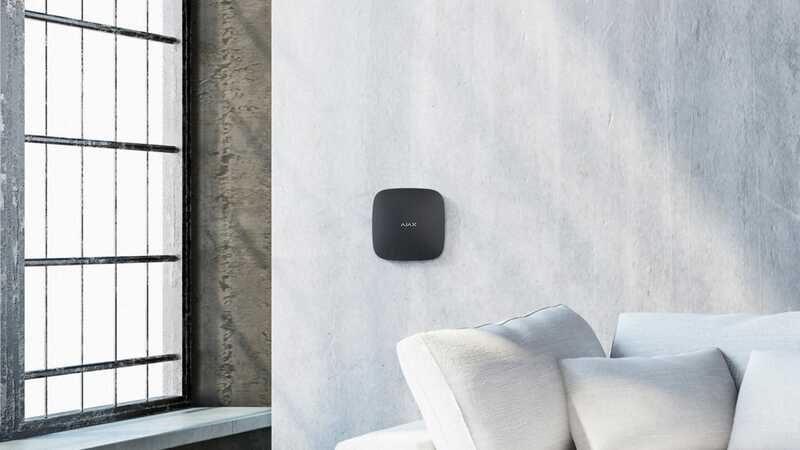 Similarly to hubs, the range extender will regularly receive new OS Malevich versions, optimizing performance and expanding device capabilities. Refer to device user manual for more information. The ReX hub range extender will be available on the market in the first quarter of 2019. To buy the device, contact the Ajax Systems partner in your region.